On occassion when you start Motorcentral you will be advised that your version of Motorcentral is out of date and to update the software to a later version. Once at the download page select the version of the software you wish to download and click the Download button. The latest version is located at the top of the page. 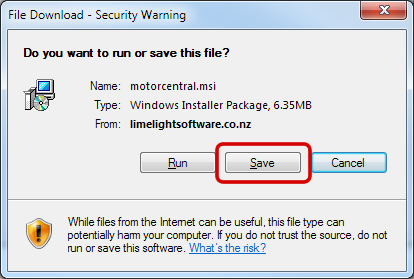 When prompted Save the file to your Desktop (or any preferred location). 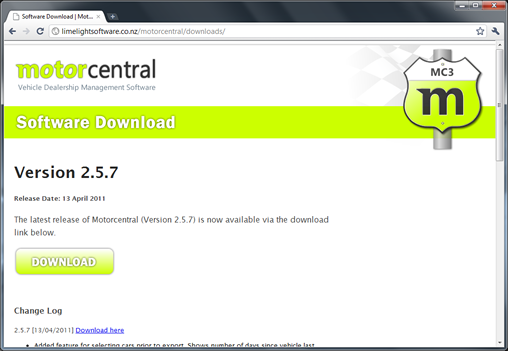 Now continue with Installing Motorcentral instructions.